Mash the pototo curry without lumps. Miix together grated carrot & salt. Grease idli plates with a drop of two of sesame oil for each space. Fill half of idli plate. Spread the potato masala,grated cheese & grated carrot on half filled idli plates. Fill with idli batter on top of the spread carrot, masala & cheese. Cut into halves and could be served even as starters. Cheese idli's - can be served with tomato sauce, kids would love it. 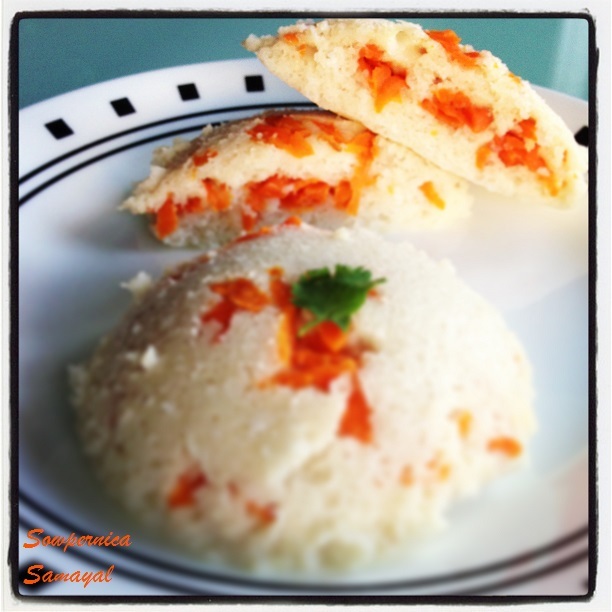 Carrot and Masala Idlis - could be served with mint chutney.